STAR TREK At 50: Charlie X | Warped Factor - Words in the Key of Geek. 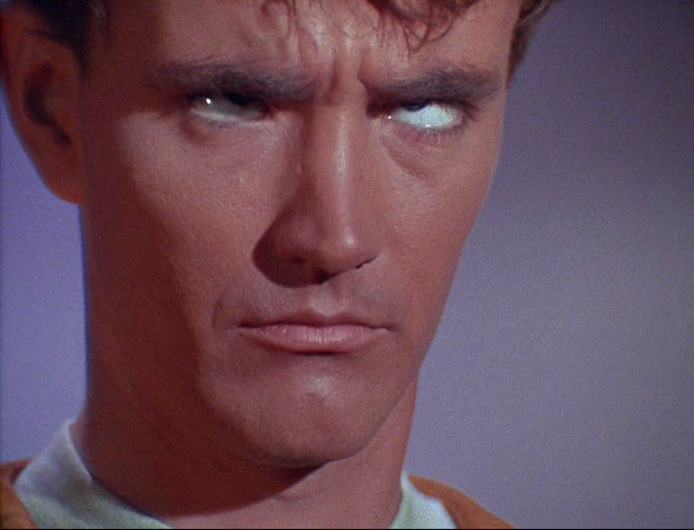 Charlie X, the second episode of Star Trek to be broadcast following the salt-eating 'monster' of The Man Trap, deals with the concept of psychic powers, an element that would go on to feature in several other stories throughout the run of the Original Series. It's a story that delivers plenty of suspense and thrills, although it's far from perfect in several other areas. Continuing its travels through space the Enterprise picks up a young boy, Charlie Evans, who's used to having everything his way, a fact that becomes a source of embarrassment when he gets too interested in Yeoman Rand. Kirk tries to explain that such behavior is inappropriate, but has to face a greater danger than he imagined when he discovers the boy's powers enable him to create - and destroy - anything. Robert Walker Jr was in his mid 20s at the time, and gives a pretty good performance as 17 year old Charlie Evans, making the most of the story he's given, even when the script is occasionally stereotypical teenage fare. 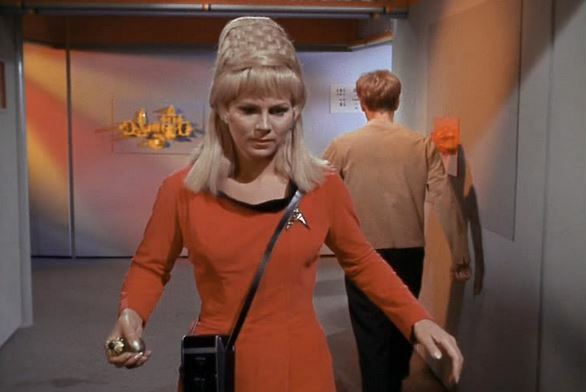 This episode is probably Grace Lee Whitney's best. Poor Yeoman Rand, if only she knew her troubles on board the Enterprise were just beginning she'd have likely jumped ship at the end of The Man Trap. The episode could be seen as something of a metaphor towards parenting and teenage rebellion, but it's a bit of a strange one all round, from Kirk's advice that "there's no right way to hit a woman", to Spock playing competitive dad and beating Charlie at chess, something the teenager isn't overly happy with! The most bizarre moment of the episode, and possibly the entire series, comes in the form of Uhura's cafeteria cabaret performance. 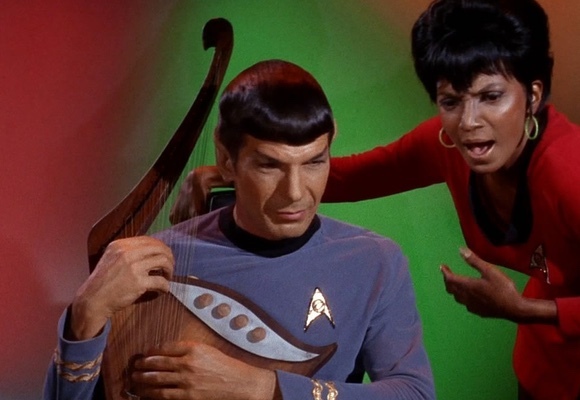 In her uniform, in front of the entire crew, she serenades Charlie whilst Spock plays a funky looking harp. In easily the most warranted use of his powers young Charlie destroys her vocal chords. This musical interlude, of such, is such a strange thing to include, not just in the context of the episode, but in the fact that this was only the second Star Trek episode broadcast. It's just not an appropriate representation of the series. To summerise, Charlie X is little more than a tame version of Stephen King's Carrie. Like King's story, this episode uses the gimmick of mental abilities to deal with a teenager's inner struggles and confusion. However, unlike the character of Carrie, Charlie is underdeveloped and occasionally annoying, his actions bordering on stereotype. Fortunately, the story is really well paced which keeps things from getting boring, couple that with the always entertaining Kirk/Spock double act and it means that, even with its flaws, Charlie X is an episode which is worth revisiting time and time again.